Do you enjoy playing golf, tennis or swimming? The Niagara Falls Country Club has graciously offered a complimentary round of golf, use of their tennis courts and pool area along with a tour of the facilities to our members. Don’t miss this great opportunity! 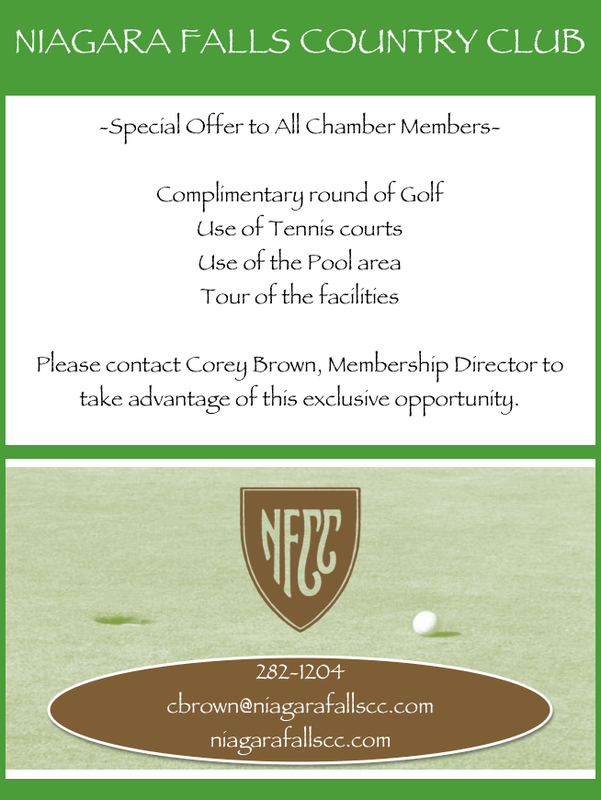 Contact Corey Brown, Membership Directory of Niagara Falls Country Club today!